After UCLA’s season-ending loss to Nebraska on Saturday in the Foster Farms Bowl, Jim Mora stressed the Bruins’ need to self-reflect — to analyze everything from its practice structure to strength and conditioning. “You just tear it apart,” he said. The fourth-year head coach particularly harped on UCLA’s need to get bigger and stronger, so as to not get “pushed around” by power teams such as the Huskers and Stanford. His predecessor doesn’t think that will come easy. On SiriusXM College Sports Nation today, former Bruin coach Rick Neuheisel said that the fact that the program still doesn’t have a dedicated nutrition facility will hamper its efforts to maintain size throughout the course of the season. 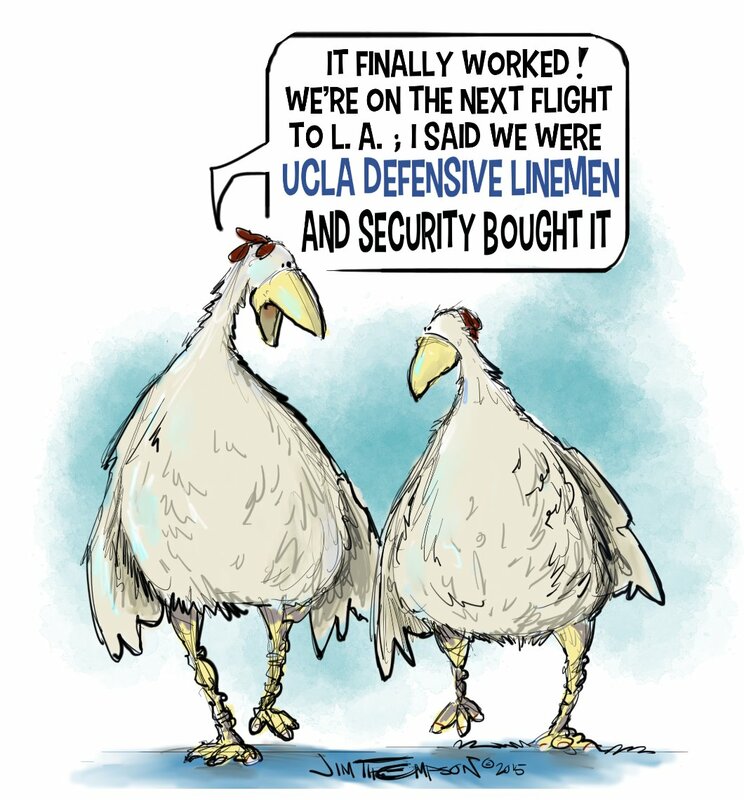 This entry was posted in Football and tagged Foster Farms Bowl, Jim Mora, Rick Neuheisel, UCLA football by Jack Wang. Bookmark the permalink. I think their problem was the pregame kale salad. RN offers excuses that Mora should have already addressed. And RN fails to address Mazzone predictable, non-performing, no plan B offense. As an example, early in the game JR hit KW with a pretty TD pass. What happened to KW after the TD is a typical Mazzone mystery. RN may have a point, but Mora is clueless. The San Bernardino camp bit, for whatever its worth, is Mora’s sole so-so FB innovation. Mora does receive kudo’s for charity fundraising and organizing golf tournaments. Rocky Long is right down the 5 freeway. I heard you have a season pass there, Jethrahrah. you should talk….You’re still in mourning over the closure of Santa’s Village……. Rah-Rah + JG = twin pimples on Twin Sister’s nose. You sure talk tough when you know gotroy will back you up. You sure talk big after USC finally beats the ruins after 3 years. That is classless. Garry Bleauz is actually pretty funny when he isn’t under the thumb of The Dr. Rachel Maddow of Inside USC. I heard you spent the last week vacationing at Arrowbear. The Four Seasons in Redlands was fully booked…..
JG’s motto: Monkey see, Monkey do. Rocky created a monster defense in 1997, but then selfishly abandoned you ruins when you had the chance to be great in 1998. Instead your Alioti defense cost you the natty in the infamous Miami meltdown. Why bring him back now? 22, bringing back Rocky Long makes better sense than Haden buying Sark from U-Dub. Rocky Long understands the concept of FB defense. San Diego State is a better team then the team Rocky inherited. Mora can’t claim UCLA is a better team, and Mora can’t dodge the label of clueless. Do you guys really want to trust Slick Rick when he’s offering advice regarding your football team? Why would they trust advice from you, Jethrahrah? Sure you did, you just told them not to trust a UCLA Rose Bowl hero. It kinda looks like I asked a question, not offered advice. You can’t possibly be for real, can you? If by “nutrition” you mean steroids, growth hormone and the like . Lots of colleges are doing it. Calling Dr. Ting! Maybe Peyton Manning has some ideas for your ruins as well. I guess that’s one way to make the news on Al Jazeera….. The Ting brothers aren’t around anymore. Nebraska used to have a big steroid program going on under St. Tom Osborne. But his Dad certainly created two physical specimens through chemistry who were good enough to play at USC. And Brian Cushing, Taylor Mays and a few others as well. No doubt about it! These guys should be tested. Rick Neuheisel needs to google himself so he can stop offering coaching advice, to anyone. He’s the losingest head coach in Bruin history and he carries himself like he’s Nick Saban. Incredible.